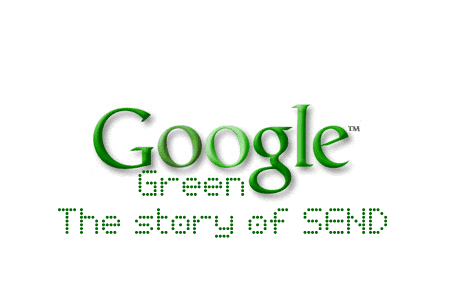 Google green, the environmental web from Google tell us a beautiful story named ‘The story of SEND.’ The story is about the adventure journey of an email. It’s really amazing. Like a fairy tale. Here story telling is not a usual thing. For telling this remarkable unusual movement Google green create a beautiful animation. ‘The story of SEND’ explain us the detailed path of its journey. Day by day, we send and receive a lot of emails. Do you think and wondered about your emails where go suddenly? Where they travel after you hit the “send” button? How does an email travel through these distances from your computer to a Mobile phone device through the country or everywhere in the world? Thinking about these things we realize that it is not usual. But todays important thing is here Google tell us these mechanical facts attractively. I recommend all my readers should see ‘The story of SEND’ from Google Green. Google give us Amazing Experiences day by day….hats off Google!! !